one-name author also known for his novel The Eiger Sanction. 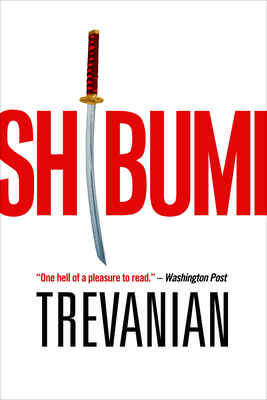 A classic spy novel from the bestselling author, Trevanian, about a westerner raised in Japan who becomes one of the world's most accomplished assassins. Nicholai Hel is the world’s most wanted man. Born in Shanghai during the chaos of World War I, he is the son of an aristocratic Russian mother and a mysterious German father and is the protégé of a Japanese Go master. Hel survived the destruction of Hiroshima to emerge as the world’s most artful lover and its most accomplished—and well-paid—assassin. Hel is a genius, a mystic, and a master of language and culture, and his secret is his determination to attain a rare kind of personal excellence, a state of effortless perfection known only as shibumi. Trevanian lives in the French Basque region. He is the author of The Crazyladies of Pearl Street, The Eiger Sanction, The Loo Sanction, The Main, The Summer of Katya, Incident at Twenty-Mile, and Hot Night in the City. Visit trevanian.com for the Crazyladies cybernotes, Trevanian’s commentaries, items from the author’s desk, and more.